God doesn't always "tell" us to move ... sometimes He sends a less audible message. I received this note recently from a reader – and it represents thousands of similar notes I continue to receive every, single day. The challenging thing is to know how God “tells” us to move. My observation is that it’s usually not an audible voice but rather in experiencing frustration, anxiety, physical maladies and lack of peace. 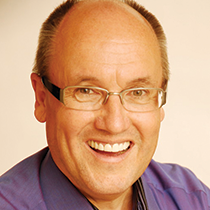 Aren’t those legitimate ways God could speak to encourage us to move, to try something new? 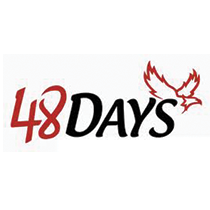 48 Days Coach Joel Boggess recently added: “Maybe the burning bush scene that a lot of folks (with the best of intentions) hope to see, happens internally and consumes from within.” Wow – I think that’s profound. The burning bush we are hoping to see is actually burning us up – consuming us from the inside out with our anxiety and anger. Uncertainty, frustration in, or even losing a job or business can often be simply a prod to a higher level of success. The eagles build a nest using thornbush strands to lock it together. Then they cover them with leaves and feathers to make it soft and comfortable. However, when the eaglets are about twelve weeks old, mom and dad eagles begin to remove the protection from the thorns. Pretty soon the little eaglets are up on the edge of the nest to avoid the pain and discomfort. Then mom and dad eagle fly by with tasty morsels of food just out of reach. Soon the little eaglet makes a big leap to get away from the pain and the hunger, and you know what happens – rather than the anticipated crashing on the rocks below, he learns he can fly. I truly believe that oftentimes God allows circumstances in our lives, not to leave us in pain or hungry, but to lead us to higher levels of success that we would not otherwise explore. If we don’t respond to the discomfort, how do really expect God to move us? Do you wait until you’re fired and then assume God did that? Do you wait until you have ulcers? Or until you are so frustrated that you lash out at someone in anger? Recognize that a “dead-end situation” may itself be God’s way of trying to get you to move. Don’t expect Him to come down here, grab you by the collar and jerk you out of there. You’ve got to move yourself. See this time in your life as one of those times – the beginning of a new season in your life. And see this opportune time and the desire to find the work that God has for you to do as some of those thorns that are causing you to look for some new alternatives.